This bright, airy restaurant specializes in buffet dining, heaping portions and major value. Built across four dining rooms with views of verdant grounds, courtyards with bubbling fountains and stately shade trees, Garden Gallery’s sprawling atmosphere manages to stay intimate. The expansive buffet is the star of the show here, both morning and night, and always a great deal. Filling up on a hearty breakfast before a long day at a theme park is ideal way to maximize your vacation budget. 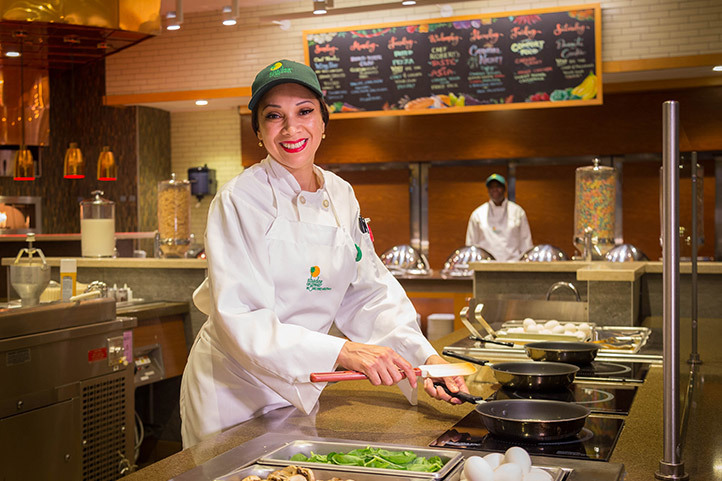 With all-you-can-eat options that are hot and fresh, as well as action stations like waffles or pancakes and omelets made to order, you’re sure to start your day full. Find fresh fruit, salads, gluten-free and healthy options, too. Plus, kids have their own buffet area that’s just their size with self-serve selections to streamline the whole family’s dining experience for breakfast and dinner. If you’re taking a little break before heading back to an amusement park for the evening, Garden Gallery makes an ideal spot to refuel. 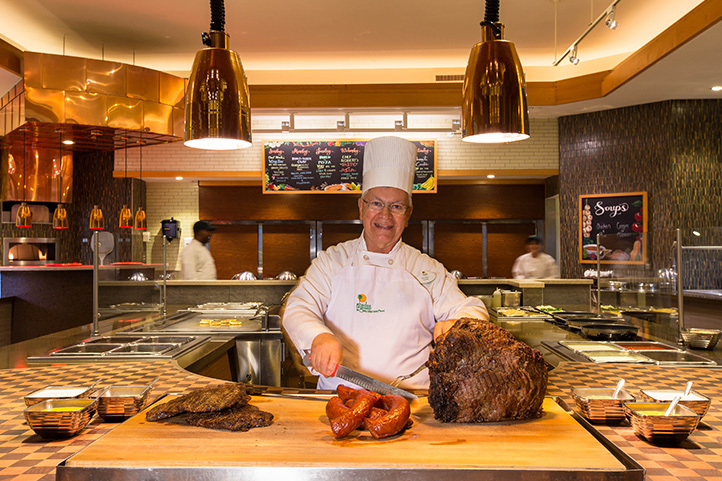 Every night has a different theme, but you’ll always find selections of beef, chicken, fish, pork, cheeses, carbs, salads, fruits and vegetarian options. Everything is fresh, seasonal and served with flair. A major highlight of dinner is the special kid-friendly action area. 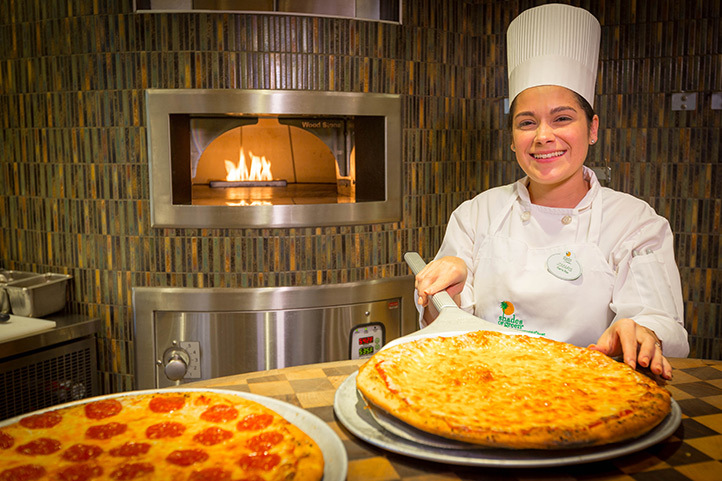 Whether it’s make-your-own pizzas or ice cream sundaes, it’s always a family favorite. And the best part, of course, is the exceptional value. Hours: 7 a.m. - 11 a.m. Hours: 5 p.m. - 9:30 p.m.